Breakfast is my favorite meal of the day! Mike and I often enjoy breakfast for dinner. This frittata looks delicious! Thanks for sharing Kelley! Hi I’m Kelley and I hang my hat at Miss Information. I’m so glad Melissa is taking time to enjoy her new baby Summer! I’m pinch hitting for her a bit while she plays Mommy! Today I wanted to share with you how to make the Perfect Frittata, it’s one of our favorite weekend breakfasts. First you have to have the right pan. You need a Unison Frittata pan where the 2 pans hook onto each other like this one. Mine is a Circulon from Williams Sonoma. The other nice thing about the recipe is that you can put whatever you want into it. You start with 6 eggs and add whatever toppings you want. Here is what I put into the one you see. Whisk your 6 eggs and add a pinch of salt and pepper to your preference. Put the butter into the larger of the 2 pans and start to melt it. Throw in the ham and spinach. Once the spinach starts to melt throw in the tomato. once the spinach is melted then pour in your eggs and then the feta. Mix around to spread the ingredients. Using a rubber spatula start to pull the eggs from the side toward the middle and let the wet egg flow down into the open space. Keep doing this around the pan until you get most of the wet egg down and you your eggs are starting to get height. Grab the smaller of the 2 pans and lock it into the larger pan. Flip the pan and let it sit for about 3-4 minutes. Leaving the other pan on will allow the cheese to melt more. Take the pan off and use your rubber spatula and lift the edge of the Frittata up to see if it is cooked enough. Once it is cooked to your preference then slide it onto a plate. Cut and serve with a side of fruit. Posted by Melissa at 8/28/2013 10:44:00 AM 1 Yumm's!!! Chocolate and caramel in a banana bread? Rolos have always been one of my favorite candies but until now, I had never thought to put them in a banana bread. Thanks for sharing Chandra! Hello! I am Chandra from The Plaid and Paisley Kitchen. I am guest posting for Melissa today while she spends some amazing time with her newborn baby!!! Today I am bringing you a really Yummy Banana Bread. Aldi had banana's for .10 a pound and I kinda went a little crazy! I wanted to make some fun and new twists on this classic bread. So I went ahead and threw in my Hubby's favorite candy, Rolos. Posted by Melissa at 8/26/2013 09:31:00 AM 0 Yumm's!!! Hi! 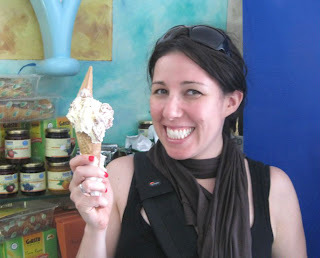 My name is Teri and I am guest blogging here today at Melissa's Cuisine! I blog over at The Freshman Cook and I brought some Chocolate Frosted Shortbread Bites today because when I go visiting, I have to bring a treat! I made little bite sized cookies, and I added some melted milk chocolate to the tops. They have a deep buttery taste, and the little bit of chocolate provided another layer of yummy flavor! 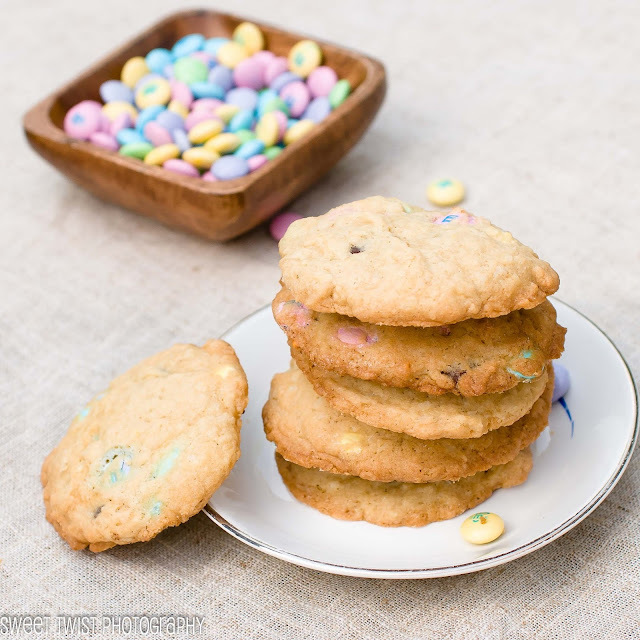 I know you are going to love these simple treats! Add your flour and mix until dough is smooth. I used this silicone pan to make my bites. Spray the pan with pan spray. cut the dough into small squares before cooking. I just eyeballed the size when I made these balls. I made one, and then pressed it into the mold. your cookies will be good. 24 cookies at one time! Cook for 10-15 minutes or until light brown. Don't over cook. They will get very hard. cookies are baking and cooling. Pipe a dollop of chocolate on top of each square. Let the chocolate set up a little. Thank you Melissa for letting me visit! Posted by Melissa at 8/21/2013 09:29:00 AM 0 Yumm's!!! Oh yum! 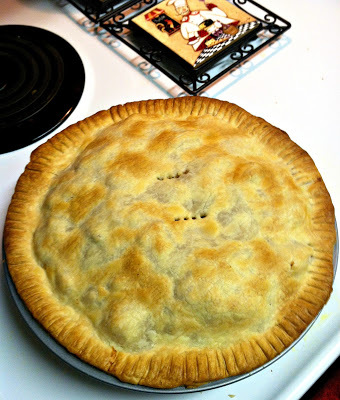 I love this apple pie recipe--I bet I could have time to whip it up during a nap time. It would make a special dessert for Mike and I :) Thanks for sharing today Susan! Hey, y'all! I'm Susan from what was formally Adventures in my Kitchen, but by the time you'll be reading this it'll be The Foodette! I am so excited to be helping out here on Melissa's Cuisine as Melissa and her hubby take the leap into parenthood! 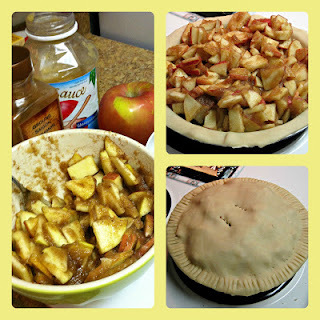 I am bringing to you today my recipe for Semi-Clean Apple Pie. I'm sure you've all heard about the Clean-Eating craze... non-processed, no sugar, kind of stuff? Well, this pies insides are clean, but the crust is good 'ol fashioned Pillsbury... hence the semi-clean title. I feel good about this pie because there is no added sugar. That's right, the sweet comes right from the apples themselves and that is it! It's super simple to throw together and everyone will love it! I hope you enjoy this recipe, and hopefully I'll see you around my new website- TheFoodette! In a medium sized bowl combine sliced/chopped apples, apple sauce, and cinnamon- mixing well. Lightly butter or grease a 9-inch pie pan. Bake for ~25 minutes or until crust is golden brown and delicious looking. Let cool before digging in! Posted by Melissa at 8/19/2013 09:09:00 AM 1 Yumm's!!! Today Meg is sharing a delicious recipe for Coconut Pudding MandM Cookies with us. 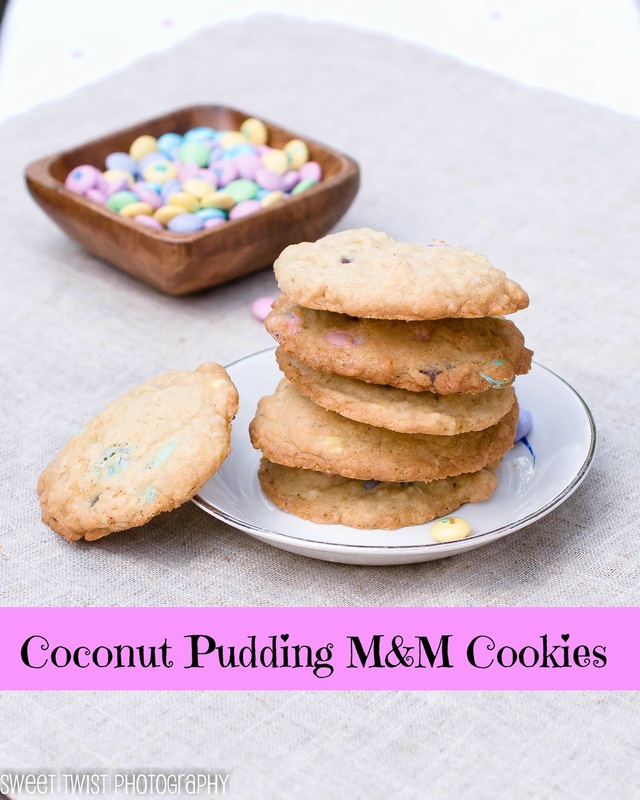 I love pudding cookies, and these look like a great snack--especially for when I'm up in the middle of the night feeding Summer. I hope you enjoy this recipe and please stop by and say hi to Meg! Hi Everyone, I am Meg from Sweet Twist of Blogging - I started blogging because I couldn't stop baking and decided I need to keep track of it. By day I work in Finance for a food company so to get away from the stress of work and to do something a little more fun I bake and blog. I also sell cakes/cupcakes on the side that you can see on my facebook page below or at Sweet Twist of Fate. My blog is where I explore my creative side and my dangerous sweet tooth. This year though I get a break from finance while I am on maternity leave looking after my beautiful baby girl. It has been an amazing 8 months so far. I now know how crazy things can get so I wanted to help Melissa with a post. Baby time flies by! I haven't figured out how will I go back to work in January. I will just enjoy these next 5 months. Sweet Twist of Blogging is mostly about baking. This year I hope to do a bit more healthy baking and a bit more savory recipes, maybe some toddler friendly recipes by the end of the year. If you are looking for some baking goodies come on by. You can find me in many places. Cookies are my favorite, so I could not resist giving you guys some of my favorite. Pudding cookies are easy, soft and delicious. I found coconut pudding powder and knew I had to put it to good use in cookies. 1) Preheat the oven to 350F. Prepare two baking sheets, lining them with silpat or parchment paper. 2) In a large bowl or mixer bowl, beat together butter and brown sugar. Add pudding, mixing just to combine. 3) Add eggs and vanilla , beat together. Add flour and baking soda. Mixing on low until almost combined. 4) Add coconut and MandM's. Mixing on low to combine. 5) Using a small scoop, place rounds on to the baking sheets. Bake for 10-12 minutes until edges are lightly golden. Cool on wire racks. Posted by Melissa at 8/14/2013 09:06:00 AM 0 Yumm's!!! Good morning! 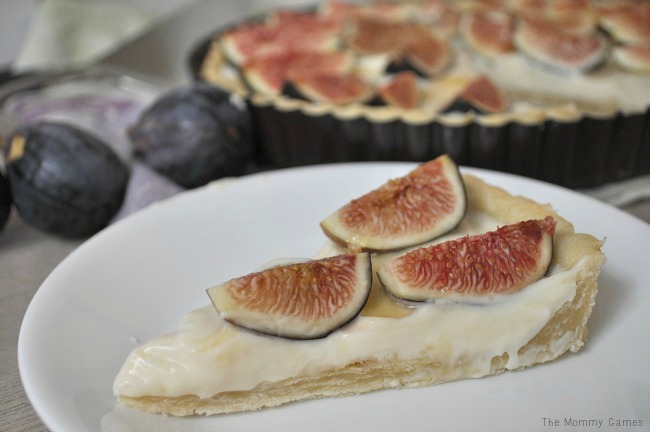 Today, Ashley, from The Mommy Games, is sharing a recipe for a Fig Tart. I've loved figs ever since my boss brought some into work a couple years ago. I don't get a chance to eat them too often though. 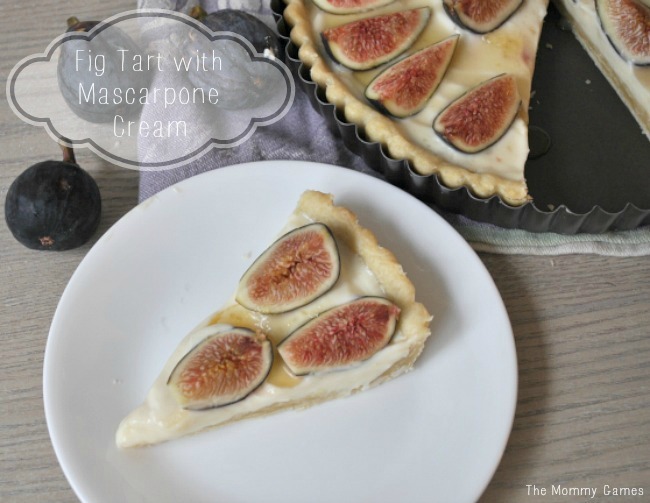 This fig tart looks delicious, and it's easy enough that I think I could even make it while Summer is napping. Be sure to check out Ashley's blog and tell her thank you for posting today! Hi, I’m Ashley! I’m a NYC mom of two, runner, book lover, and total foodie. I write a little blog, The Mommy Games, where I share favorite recipes, my adventures in running and staying in shape, and lots of mommy tidbits. I’m super passionate about being a mom, which is why I jumped at the chance to come and help Melissa out as she gets settled into the craziest, most wonderful job there is – motherhood! Becoming a mom is one of the most exciting and wonderful, yet scary and exhausting experiences in a woman’s life, and I love to help new moms in any way I can. Well, I won’t be getting up to do any 2 am feedings. That’s all on you, Melissa! I’m so thrilled to share this delicious recipe with you today. This tart is one of my favorite desserts not only because it’s delicious, but it’s also deceptively impressive and will have all of your friends swooning. In truth, my toddler has helped me make this many a time, so you know it’s easy. But if you don’t tell, I won’t, and everyone can think that you slaved away all day to make this fabulous dessert. The sweet figs and honey drizzle are the perfect complement to the creamy, slightly tangy filling. The combination is seriously addictive, and don’t be surprised if you find yourself sneaking a slice in the middle of the night. Thanks again to Melissa for letting me visit with you all, and please come say “hi” over at The Mommy Games. I also love making new friends on Facebook, Twitter, Pinterest, and Instagram (my favorite!). Posted by Melissa at 8/12/2013 10:07:00 AM 1 Yumm's!!! Hi everyone! I've spent the last 2 weeks cuddling with the most precious baby ever (I might be just a little biased), and even as I'm writing this post, she's sleeping peacefully on my chest. It's the most incredible feeling in the world to have a baby--my baby--cuddling with me. I'm so in love with her! While I'm spending time with Summer, I have some great blogger friends who will be sharing recipes with you. Today, my friend Carrie is sharing a recipe that anyone can enjoy--especially us new moms. These tacos look delicious and I'm sure I'll be using this recipe often! Hello all! I am Carrie and you can typically find me over at Frugal Foodie Mama sharing my budget friendly recipes and my anecdotes about my life as a stay-at-home mama. But today I am over here visiting with my good friend Melissa as she spends time with her little one. My 3 Ingredient Crock Pot Beef Tacos! You can also use a pound of chicken breasts in this recipe instead of the ground beef. Just shred the chicken with two forks before serving! Thank you for having me over, Melissa! Hello all! 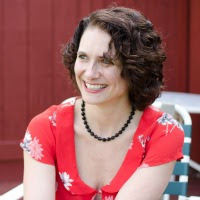 I am Carrie and I blog over at Frugal Foodie Mama about my life as a stay-at-home mom to a toddler and a teenager, my family's journey to become a little more eco-responsible everyday, and how I still manage to stay a foodie on our one income budget. Please stop on over and say hi! Posted by Melissa at 8/05/2013 08:45:00 AM 2 Yumm's!! !